Jeremy Kettler in 2017 was found guilty of violating federal laws concerning the manufacturing and selling of suppressors and was given a year’s probation on a single count of possession of an unregistered NFA item. With the conviction upheld on appeal to the 10th U.S. Circuit last October, Kettler is now pursuing his case with the help of a gun rights group, to the Supreme Court. “Jeremy Kettler’s petition presents solid, well-argued questions important to all gun owners, and we hope the Court will grant certiorari to decide them,” said Erich Pratt, executive director of Gun Owners of America and its Gun Owners Foundation legal arm, who is supporting the continued appeal. The 46-page petition to the high court argues that the NFA, which was adopted in 1934, is unconstitutional and that it is, in essence, a money-losing tax that produces no revenue for the government while effectively criminalizing the devices it controls. Pointing that the taxes charged on the making and transfer of items such as suppressors are only collected by federal firearm regulators and not by the IRS, and that similar failures to pay a $200 tax due to the IRS would not produce a felony punishable by up to 10 years in prison, Kettler’s attorneys argue that the NFA is, in fact, a regulatory scheme. Kettler, a disabled combat veteran, came under investigation in 2014 when he posted a video on social media of a suppressor he bought at a local Army-Navy surplus store without a tax stamp or ATF paperwork. 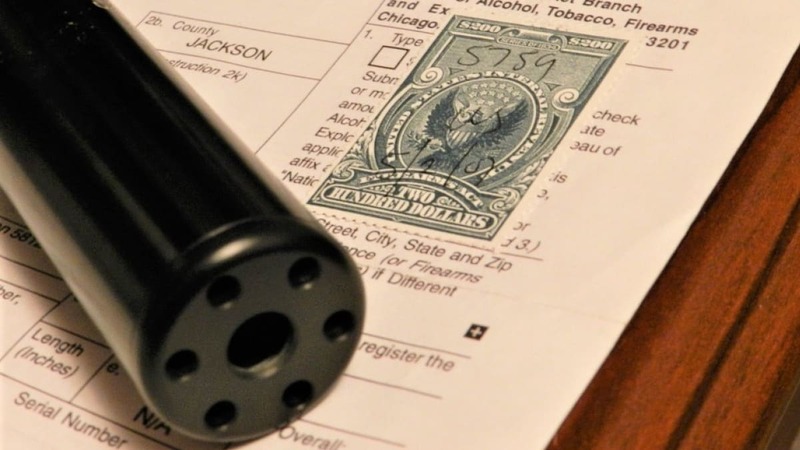 According to court documents, the man who sold him the silencer, Shane Cox, did not have a federal license to manufacture suppressors and violated the NFA as he didn’t pay the special tax or register the items in accordance with the act. At trial, the men used a defense that Kansas state law insulated them from prosecution by the federal government, while the court did not concur. In the end, Cox was found guilty on eight counts of illegally making and marketing firearms and not guilty in two other counts involving possession of a destructive device. Kettler was found guilty on one count of purchasing the unregistered suppressor. Both received probation. While centered on suppressors, Pratt said this week that Kettler’s pending appeal to the Supreme Court challenges the NFA as a whole.